This is a funny onlooker on your garden fence. Great sharp shots Justina! And I love your hibiscus. What a wonderful color! What interesting markings around the RR’s eyes…..they make his eyes look like human eyes! Beautiful photos, Justina! Love principally the roadrunner. What a big tail! That’s a roadrunner? I’ve never seen a real one outside of the cartoon before. How cool is he? Didn’t know they sat on fences…I just thought they zoomed around the desert being chased by coyotes. My cherry tomatoes are just now getting ripe enough to eat. If only I can beat the Schnauzer boys (who have already claimed the first few on the bottom) and get enough for the hubs and I. Nothing is better than vine ripened tomatoes fresh from the garden. Num-num. What great snaps you have for the roadrunner especially with the sharp close ups! I love our roadrunners. Great photo capture on your part, mine are too skittish to get pics of. I have never seen a roadrunner in person. Thanks for the photos, they are really beautiful!! 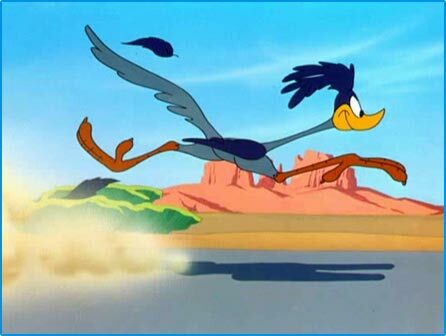 I love the roadrunner. I am another who has never seen one in person, although I’ve been in the desert SW where they should be found. I probably just overlooked them. Love that hibiscus, never seen them that color. We usually can only get them in red here. 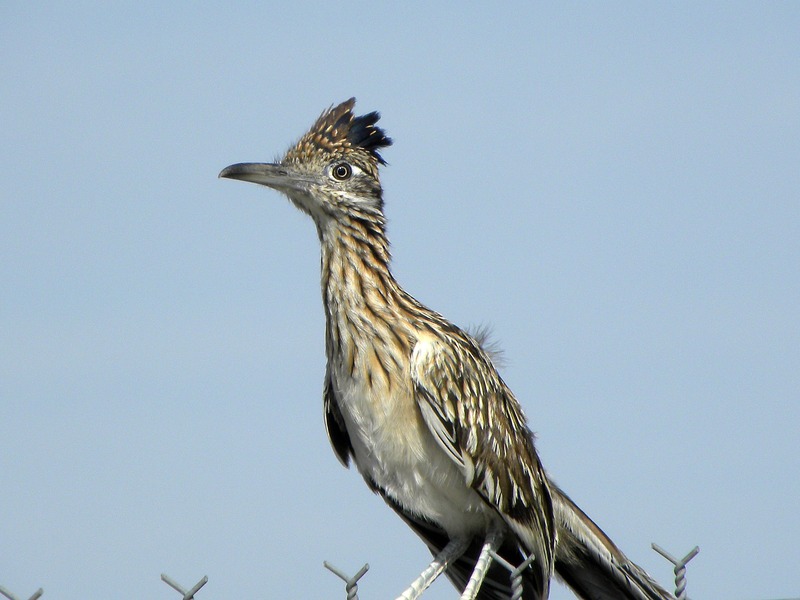 Cool shots of the roadrunner, he was quite cooperative for you. Hooray for tomatoes! 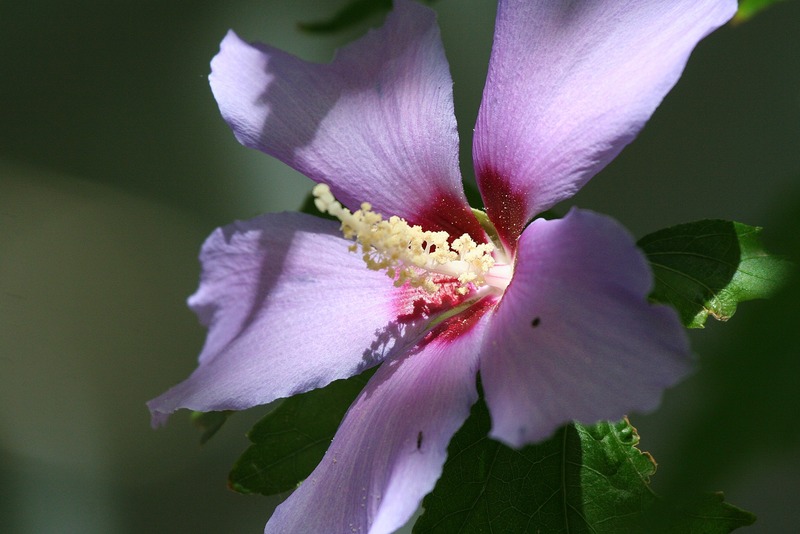 And hibiscus and road runners……………. 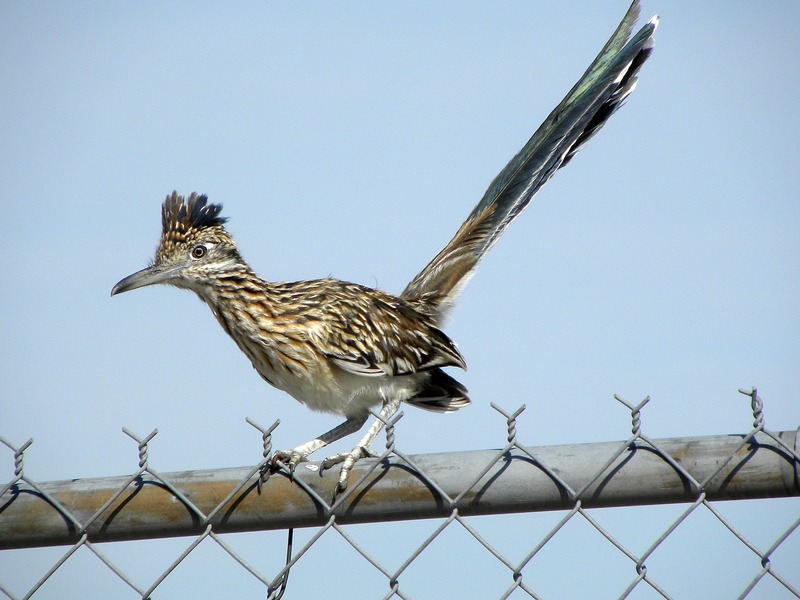 LOL I’ve never seen a real roadrunner before! I wish we had them here in WV!!! 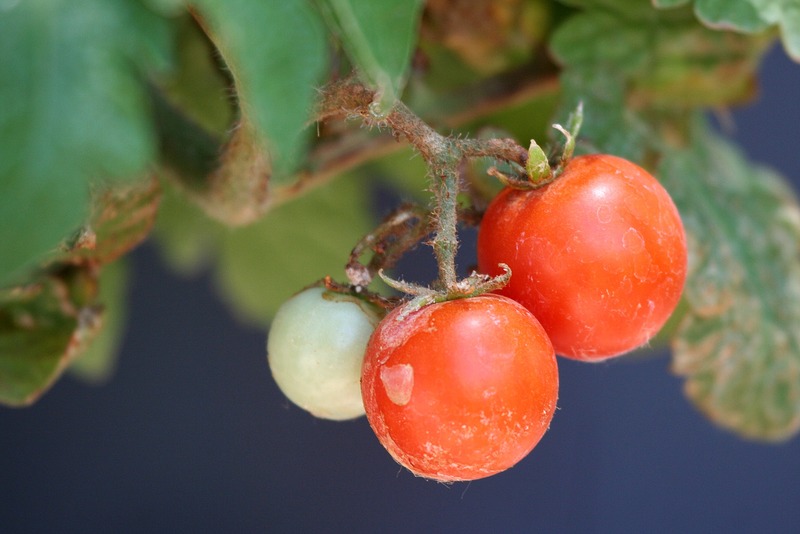 hehe I was just looking at my lil tomato plant on the porch, the lil cherry tomatoes are finally turning red!! Beauty Full flower!!! Great catch on the roadrunner. The last shot is my favorite. Thanks Justina. The roadrunner song is now stuck in my head… THANKS!!! 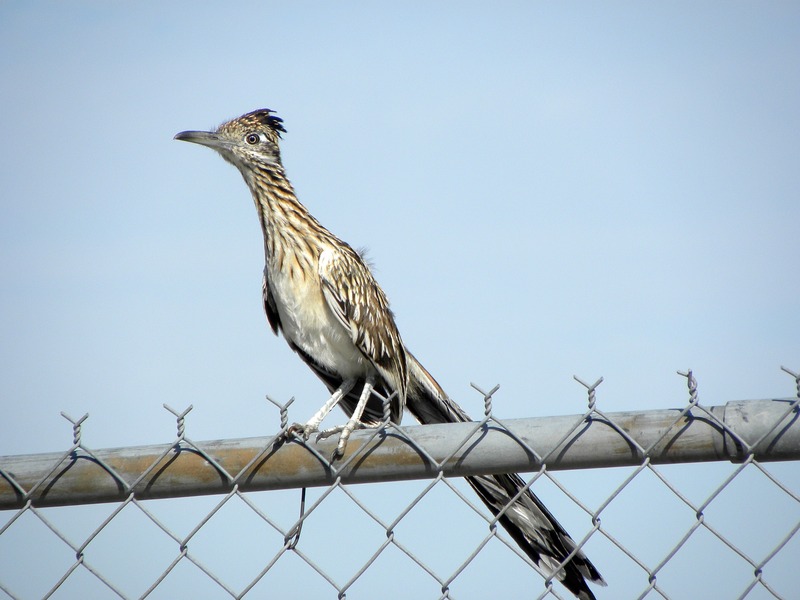 I like your roadrunner on the fence photos! We have a lot of them here. They will follow you around, especially if you feed them. One of the few birds that will eat rattlesnakes…….. While we try to understand all of the creativity efforts one must muster to do a daily blog, we certainly look forward to reading yours every day!! You are EXCELLENT at writing and sharing “your world”.,.. we miss our daily glimpse into that…. Hope you are getting some much needed rest!! Oh my gosh I haven’t seen a Roadrunner up close since I lived in Arizona when I was a kid! Interesting birds! Too cool! 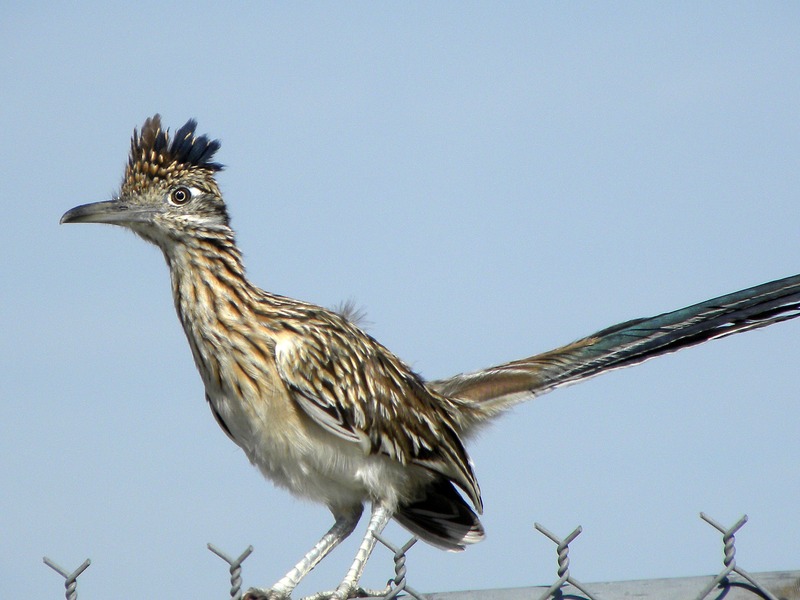 I don’t think I’ve ever seen a Road Runner up close and personal before – is it a baby?